After being left behind in the Internet revolution, places like France, Malta and Switzerland are making a concerted effort to stay ahead of the crypto-asset curve. PARIS — Could Europe be a future blockchain paradise? Unthinkable just a few months ago, the idea is quickly gaining ground, especially in European capitals, from Paris to Valletta, where the lessons of the Internet left their mark. Just look around. More than 20 years after its creation, the Web is dominated by American and Chinese groups, much to Europe's chagrin, which has promised itself not to let that happen again with the blockchain. Brussels keeps repeating that Europe must be on the offensive on this front. And they're right, because even if the world's two leading economies again have a head start — with giants such as Binance, the "Alibaba of cryptocurrencies," or ConsenSys, the world's "studio" for blockchain — Europe has the means to catch up with them. More importantly, it can really establish itself. That's because European countries have paid close attention to the Bitcoin boom and understand it. Most have already begun adapting their laws. Malta, Estonia and Lithuania — and Switzerland too — are obviously at the forefront, with increasingly clearer tax laws and regulations, but they are not the only ones. Larger players, such as France, are also making huge progress, and Paris wants to become a driving force in Europe. The government is working on new economic legislation with which it seeks to "send a clear message that France and Europe are a destination of choice," says lawmaker Pierre Person, who has been involved in a parliamentary mission on cryptoassets. The Old Continent also understands that blockchain is a technology that requires a lot of flexibility. In their approach, European countries are trying to reconcile the need for regulation with the flexibility the blockchain needs to grow and evolve. "That's the whole point: to succeed in putting a legal framework around technology without preventing it from developing," says Pierre Person. Above all, Europe — with its 500 million inhabitants — is a vast market like China and the United States. It has the means to carry a lot of weight, with several technological hubs, researchers and important financial centers. It also has a favorable economic model that is industrial, financial and liberal at the same time. This isn't necessarily the case in China and the U.S., where the former's interventionism and the latter's economic financialization are very strong and not exactly compatible with a massive adoption of the blockchain. The first negative signals, in fact, have already been seen in China, where the Communist regime has begun taking control of things after 12 months of laissez-faire. It must be said that the philosophy carried by the blockchain is contrary to the Asian giant's economic approach. The blockchain decentralizes, while the Chinese economy centralizes: everything goes through Beijing. 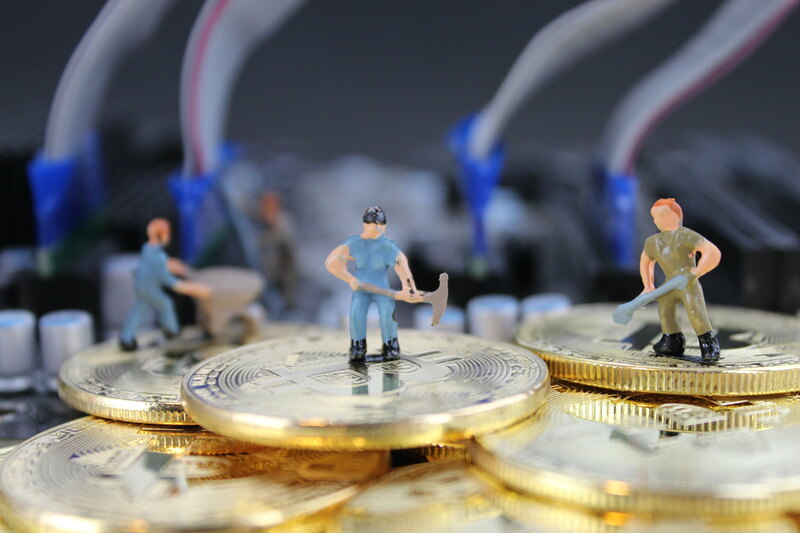 The Chinese authorities have recently closed down several cryptocurrency trading sites and confirmed the ban on initial coin offerings (ICOs) to finance Blockchain projects. Europe is doing the opposite by trying to attract investors. Even the EU's financial regulator is considering the most appropriate legislation for ICOs. Beijing has also decided to take a closer look at investments made by Chinese giant companies in the sector. Across the Atlantic there's a different problem. Companies have carte blanche to develop, but the ecosystem's growth and maturity seem limited, at least in its global dimension. The ecosystem is already highly financialized and close to Wall Street, with several giants already on the case, such as Fidelity, BlackRock or Goldman Sachs. This situation could deter potential future new players, as the development costs of a blockchain project continue to increase. The blockchain economy is developing, but the market is still very immature. "This is the American particularity," a U.S. fund manager explains. A large number of projects have taken on a merely financial dimension, notably under the impetus of the Securities and Exchange Commission (SEC), which regulates the sector at a snail's pace by applying to it the current legislation on financial securities. A position that European regulators reject, preferring a more open approach, mostly so they can continue to let the sector innovate and develop. The United States also has to work with the power of its technology giants, who dominate not just the American but also the global economy. This is the whole paradox with Google, Apple, Facebook, Amazon and Microsoft. These giants, which represent nearly $4 trillion in capitalization, are looking at the blockchain. Microsoft has started to invest in the sector. Facebook has made the blockchain one of its research areas to find out how to "make the best use" of cryptocurrencies. But these companies have little interest in developing the blockchain on a large scale because their model is based on centralization and massive data collection. "The blockchain economy is developing, but the market is still very immature. Everything still remains to be done," explains Joseph Lubin, boss of ConsenSys. And that's the head of one of the most powerful companies in the sector speaking.